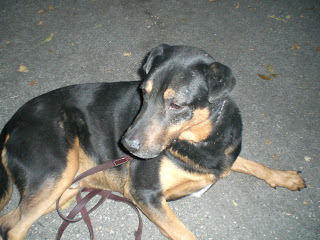 Susan the dog lady wanted to call me Gretchen, but somebody else at the shelter named me Roxie. She found me tonight in building 1, with a note that I should be moved to building 2 ASAP because I've been here at the Carson shelter since December 19! So she moved a small dog to "room" with another small dog and made a space for me. Right now I'm in C230. 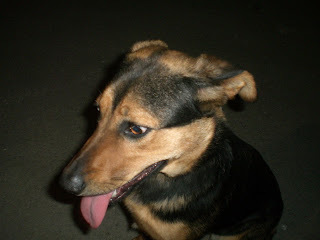 I am about a year old and I am a German Shepherd. I was a stray when I was found. Susan thinks I am a sweetheart. I didn't have too much trouble walking on the leash. 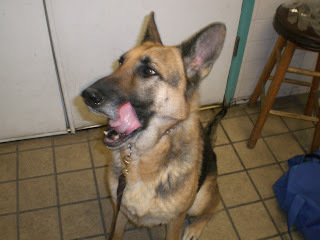 In the first photo above, I'm licking my lips after Susan gave me a liver treat! And in this second photo, I'm just sitting here waiting for her to take me back out of the laundry room. Susan thinks that right now we have a pretty good "crop" of adoptable dogs at the shelter. Won't you come on down and visit us? Hi! My name is Barney. 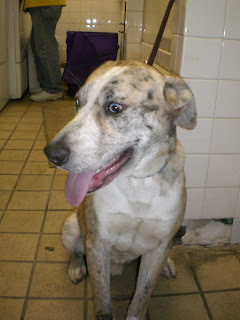 I am a 10 month old male Aussie mix. I've been here at the Carson shelter since December 27, and right now I live in C241. Susan the dog lady thinks I am the coolest looking dog with my partial merle coat and blue eyes. It's kind of hard to see my eyes in these photos though (the red eye effect). 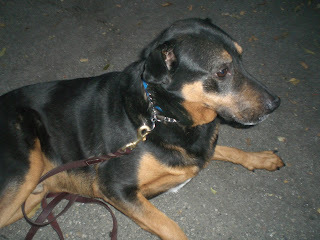 I was having trouble walking with the training collar and leash tonight. So tonight Susan tried a little exercise with me. 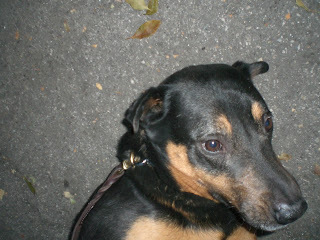 She put a Martingale collar on me and tied the leash around her waist. Then we sort of walked around in the back a little. If I pulled on the leash, Susan stopped, then started walking the other way. We did that for a few minutes, but she thinks maybe it helped calm me down a little. 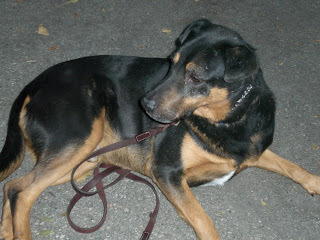 Then she took off the leash, put back on the training collar, and off we went to do a walk around the grounds. Hi! My name is Nikki. 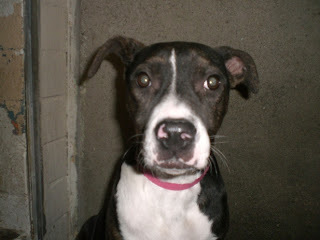 I am a 4 month old female pit bull mix pup. I was brought in with my brother. I am owner surrendered and I've been here since before Christmas. Oh dear, Susan forgot to get my cage number. It's C246 or very close to it. Tonight Susan the dog lady greeted me for the first time. 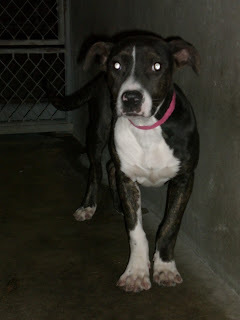 I am a little shy, but it's a cautious type of shy, not a fearful shy, so I went and hid in the other side of the kennel. I like to play, so I gave some play bows to Susan, and she gave me some play bows back! 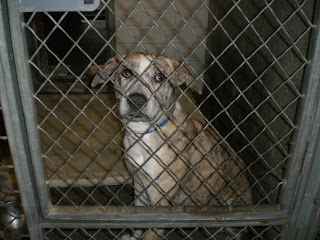 Susan took the first photo of me while I was still hiding in the other side of the kennel. She sat down on the floor of the front side and kept coaxing me to her side with her liver and chicken and vegetable treats. Oooh, they were yummy! I kept eating them up! Susan kept coaxing me with treats. 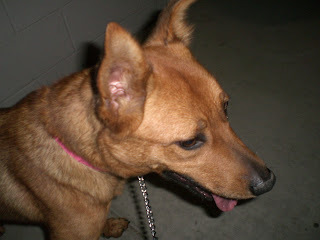 Pretty soon I was comfortable on her side of the kennel, and I even let Susan pet me a little. 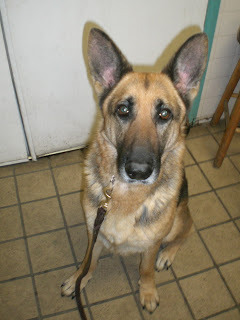 This second photo is of me sitting in Susan's side of the kennel. Susan thinks I have the "perfect" pet personality - a slightly cautious shyness, but a love of play. Won't you come down to the shelter and say hello to me? My name is Sarge. 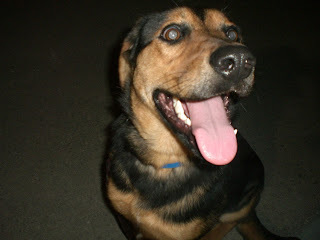 I am a male shepherd/rottweiler mix. Right now I live in cage C241. Susan the dog lady was trying to have me do a SIT, but I just wanted to lie down. Since we just met, Susan didn't want to insist that I SIT, so she decided to take some photos of me while I was down on the ground. Susan thinks I have very gentle brown eyes and that I am quite handsome. Susan says I have a busy nose. When we walk, I like having my nose to the ground. 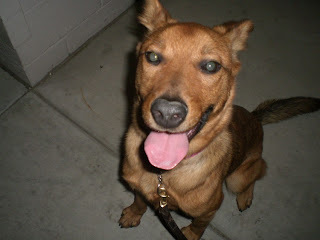 Other than that, I walk around the shelter with her pretty well! Won't you come down and say hello to me? My name is Callie. 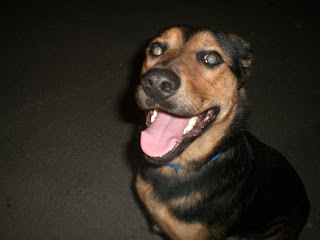 I am a shepherd mix and I'm about 10 months old. Right now I live in Cage C246. 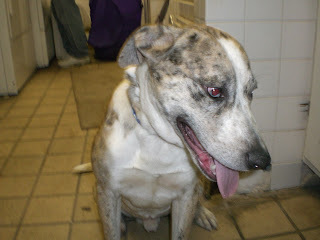 I've been at the shelter since December 16, and I would really love to have a home! Susan the dog lady noticed I had a little trouble walking on a leash, but I was able to sit nicely for a few photos! Susan says we'll work on the walking some more! Hi! My name is Lena. I am a shepherd mix. Susan the dog lady forgot to write down all the information on me, so she can't remember how old I am - but I'm not very old! I live in Cage 245 right now. My kennel card says I am female but for some reason I am wearing a blue tag! It gets really dark in the back of the shelter during the winter evenings, so it is difficult for Susan to take pictures of us. But she managed to get these shots of me tonight. Considering the poor lighting, they aren't bad at all! Susan and I met for the first time tonight, and she thought I was pretty good on the walk. Won't you come down to the shelter too and get to know me?